Sure, it’s not actually permanent — when circumstances or needs change, you can sell your place (and we’d gladly help). But that feeling still comes along with the experience, and permanence doesn’t suit all of us. If you struggle with making concrete decisions — from deciding to buy a home to choosing which colors to paint — this post is for you. We collected a few of our favorite ways to change the look of a home in a way that’s really easy to change again. Things that are temporary, but don’t feel like placeholders. If you’re commitment-phobic or driven to regularly change up your home’s look (or you’re renting a place and can only alter the space so much), these should offer a little inspiration. We really love the look of wallpapered statement walls, but if you go with traditional wallpaper, hanging it is a serious task, and removing it is… 10 times more serious. 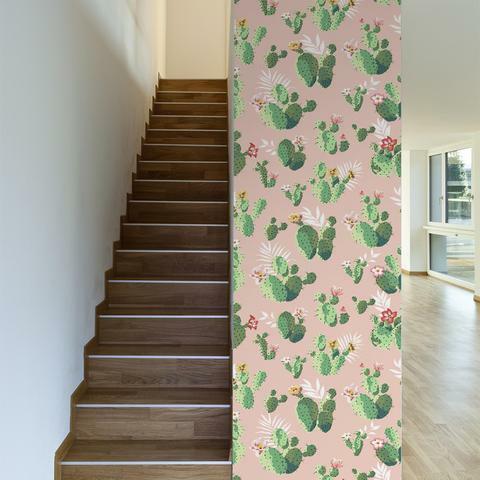 Luckily the world of removable wallpaper has grown in leaps and bounds. You can find an almost limitless mix of styles and aesthetics that are easy to apply, just as easy to remove, and fairly affordable, too. Take the wallpaper company Walls Need Love — based right here in Nashville — as an example: They stock everything from Art Deco designs to floral prints and kitschy animals. You can do something playful like the above to make an end-of-summer statement, then switch it out for something icier come winter (like their “Outside the Lines” print). Rugs are a great, flexible way to profoundly change the look of a space, and they’re by nature temporary. But we also like making things even more flexible, by opting for tiles instead of a full rug. Companies like Flor have lots of different tile designs, and generally a bunch of color options within each design. So you can customize an “area rug,” and if you get bored, swap out some tiles for different colors or different pattern, and quickly and easily bring a fresh look to your space. Take something like the above option — bored of the magenta? Swap out some tiles in the center, and you have a new accent color. Added benefit, too: These are particularly good options if you have kids and/or pets and lots of spills, since you can pull up a single tile and wash it or replace it, and your rug’s back to good as new again. 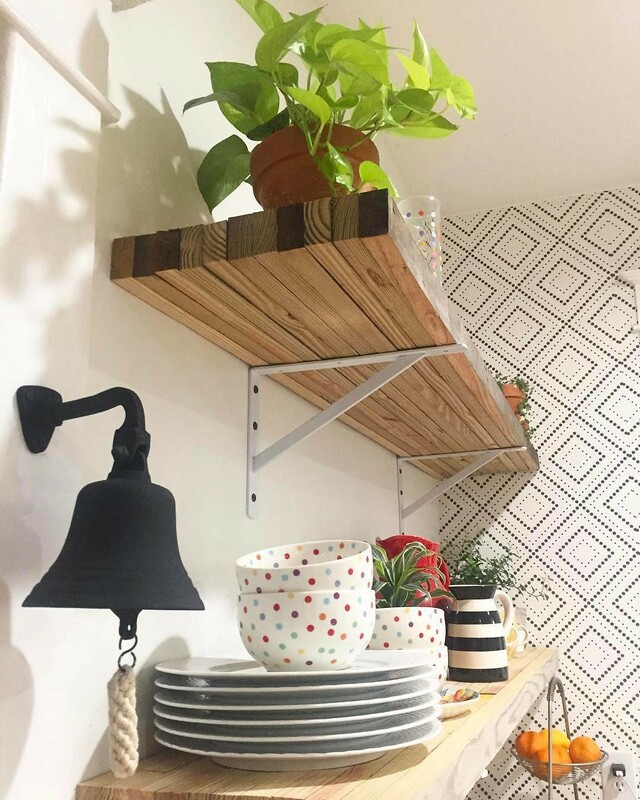 There’s almost nothing easier, cheaper and more flexible than Washi tape wall treatment projects — you can bring a big design pop to a space, and if you end up bored with it, you’re only out a few hours and a few bucks. 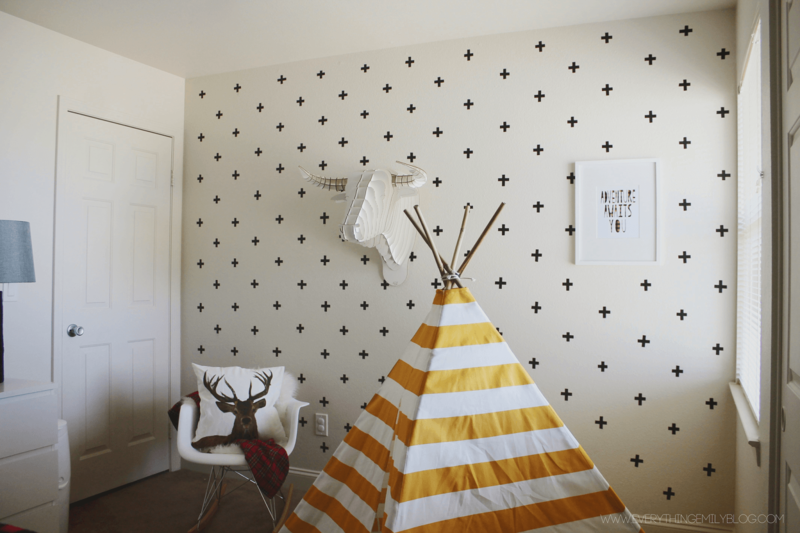 It’s a particularly great option for kids’ rooms, since their needs and obsessions change so quickly. The idea pictured above is super cute and easy, and the blogger who did it only spent $10. Easily overlooked, and really impactful: new throw pillows in your living room, bedroom, guest room, etc. If you’re indecisive or just like to switch things out a lot, this can get kinda pricey. So shoot for new pillow covers, and just keep swapping them out. Pottery Barn usually has pretty cool covers for as little as $15-$20 if you keep your eyes open for sales. 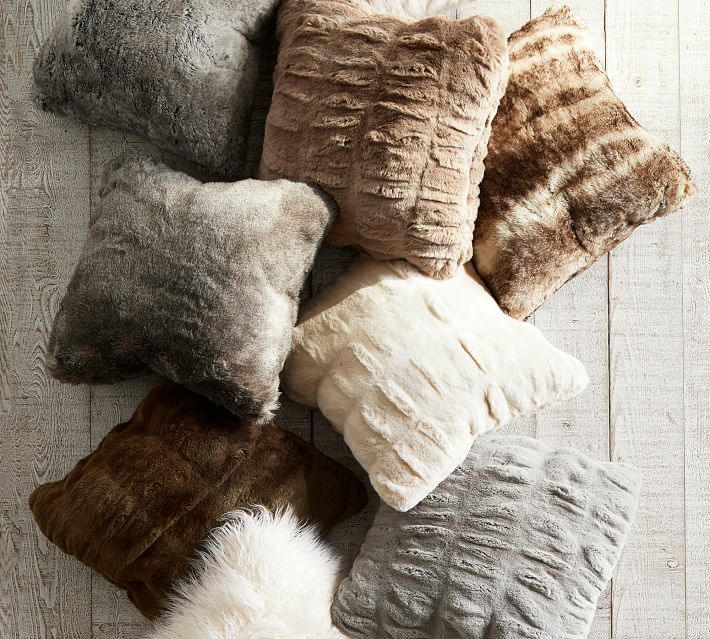 H&M has pillow covers for as little as $4 all the time. Just shove the old pillow in, zip ‘em up, and voila: fresh aesthetics. It really might surprise you, how much weight something as small as a cabinet pull has in your kitchen. And as home improvement projects go, few things are as quick and easy — a screwdriver and an hour, and you’re good to go. If you have a larger kitchen with a lot of cabinets, routinely swapping pulls and knobs out could get pricey. But you can always eBay or local-buy-and-sell the old ones to offset that… or just save them until your tastes shift back again. 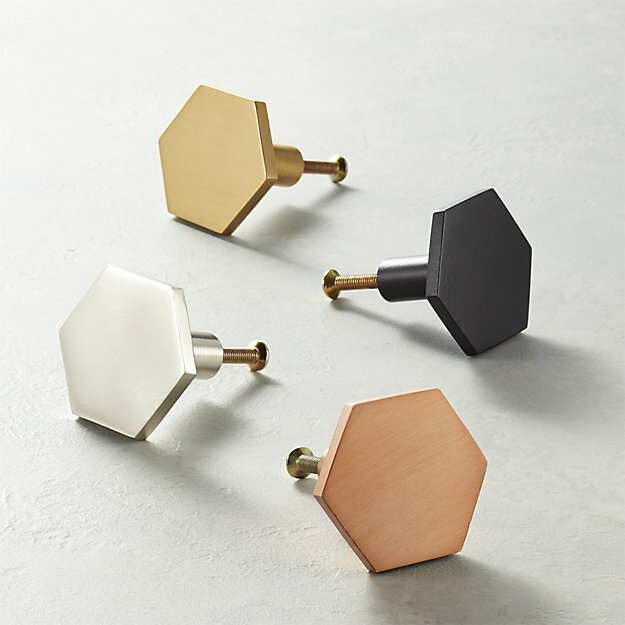 Good example: these hex pulls from CB2. 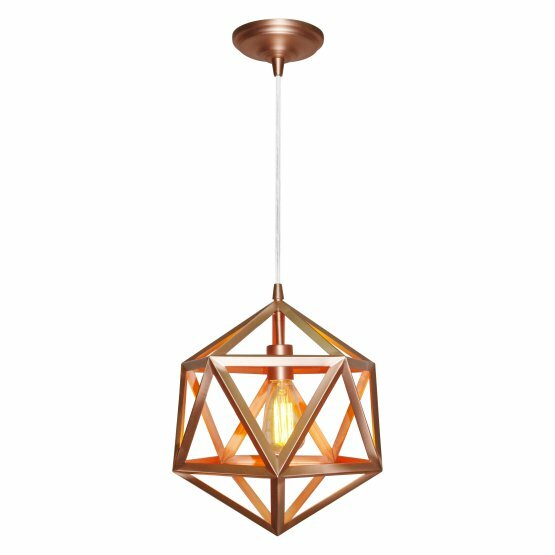 At about $5 apiece, they won’t break the bank, but those subtle pops of copper, brass or black could really bring a run-of-the-mill kitchen into high-design territory. It’s not that it’s hard to frame and hang art on a wall… but it can be hard to find pieces you’re really obsessed with, long-term, and expensive to get things custom-framed to size. If you’re open to a bit of a bohemian/casual look, creating a flexible gallery wall can be the perfect way to cater to your artistic whims. 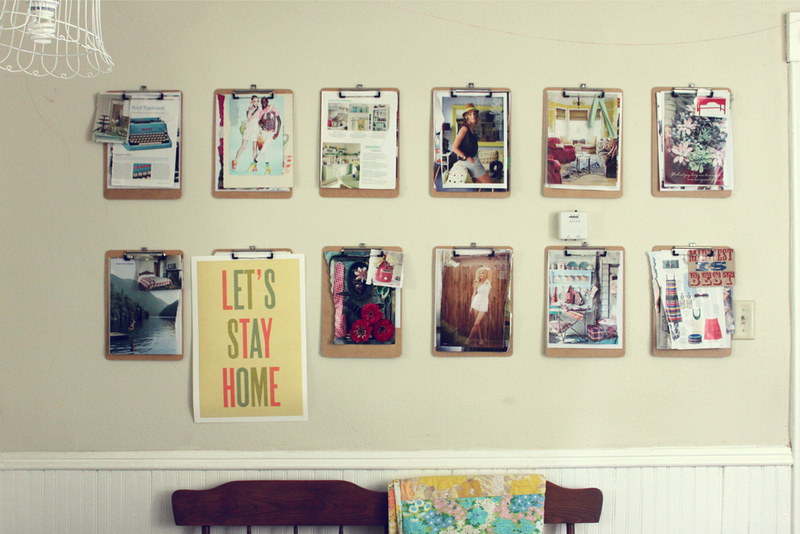 Hanging clipboards, like the above, makes it so you can alter your art monthly, weekly, daily — whenever you find something new that inspires you. Binder clips and clothespins can do the job too. A little creativity and a few simple office supplies, and you’re ready to display (and re-display, and re-display). Changing out light fixtures really isn’t hard, doesn’t have to be expensive and really makes a big difference. But if you’re not experienced with electrical work, we’re not going to recommend you DIY. You can, however, convert recessed lighting to pendant lights as easily as changing a lightbulb… literally. This isn’t for everyone — for one, you have to have recessed lighting that you’re not happy with in a place that’d be suitable for pendants. But for a few of you, this’ll be an easy, awesome, temporary (if you want it to be) option. Something like the pictured fixture from Hayneedle has a conversion piece that screws into the socket, and a canopy that cleanly covers the old fixture. Two-minute install, and if you need a change again, unscrew and repeat. Hope these ideas offer a little home-design inspiration. If you’re looking for a new home in Nashville to explore your design whims in, we’d love to help you find it — reach ACRE here, or for an easy way to start your Nashville househunting process, fill out this quick form.